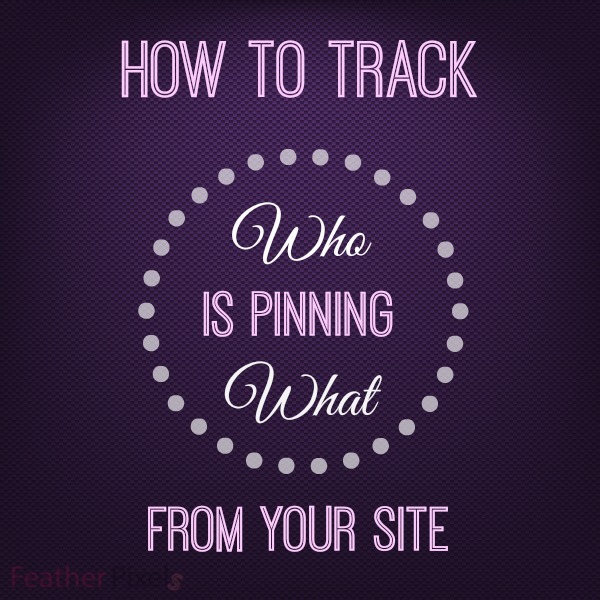 Finding out what people are pinning from your site is a great key to see what is popular. We all can assume what we think will do best on Pinterest. Things like recipes, cute animals, crafts, DIY projects, awesome photography, etc. But, some things may just surprise you. Being the stats and tracking spaz that I am, I got very excited to learn about PinAlerts.com. This site alerts you as pictures are pinned from your blog. I have alerts set up for all of my blogs. You can choose how often you would like to receive the alert emails. I have mine set up to email me hourly. It’s interesting to see not only what is being pinned, but who is pinning. It’s a great way to find out who visits your site often. When I see that it’s a fellow blogger, I definitely head on over to return the favor. Like above, Kristin rocks and I will make sure that I have been pinning her awesomeness on Keenly Kristin, as well. The weekly summary is interesting, too. 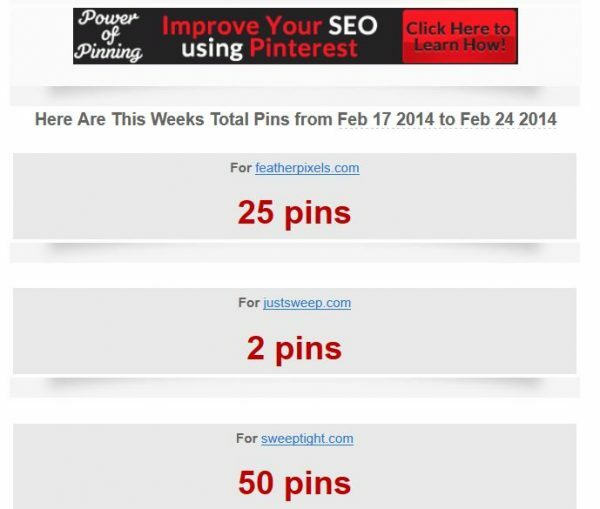 It will give you a roundup of how many pins happened during the week from each of your sites. You can go in and manage your account at any time. Change the frequency of which you receive emails, add accounts, or delete them. PinAlerts.com is free and is currently in BETA. I know Pinterest has its own analytics, too, but I like the email alerts. It’s fun to get an email update that one of your new posts has just been pinned a bunch of times, or follow your weekly progress. Just one more thing to analyze and learn from as bloggers. Do you use PinAlerts.com or anything like it to track who is pinning from your site? Love this idea. I try to remember to check the Pinterest analytics on a regular basis, but it would be so much easier if I got an email alert like this. Thanks! I have pin alerts set up already for my blogs. I don’t get that many pins yet but I’m trying to increase my pinnable posts. I think it’s a great resource. Ah thanks for sharing this, I’m definitely going to try it out. For some reason the Pinterest button never shows counts on my blog, so I have no idea how many times a post or picture has been pinned. This would at least help somewhat! I honestly did not like getting pin alerts because it was blowing up my email! I do love that you can easily keep track of what’s working though. I hadn’t heard of this. I haven’t been able to get my Pin analysis to even work right, so this might be good for me to check out. So cool! I haven’t heard of this until now! I’m such a “nerd” when it comes to analytics. Me too! I have to stop myself from check all my analytics everyday! !